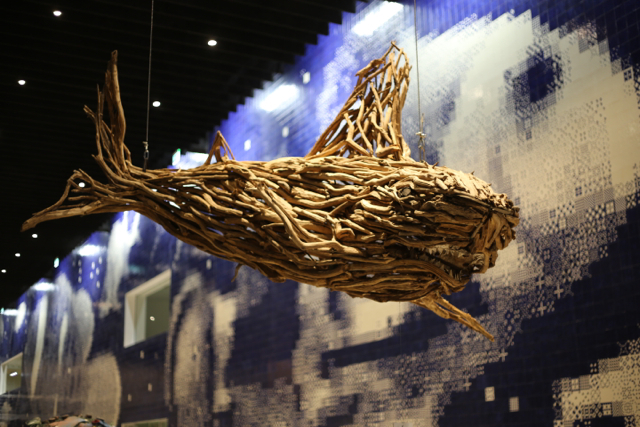 Skeleton Sea has selected art works in a permanent exhibition all year in 2019 in the Oceanário de Lisboa. 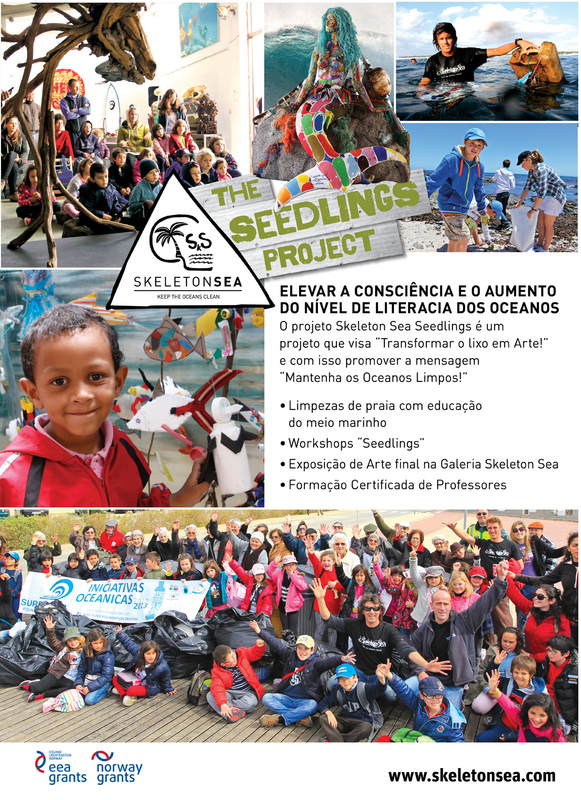 If you are in Lisbon this summer, check it out. 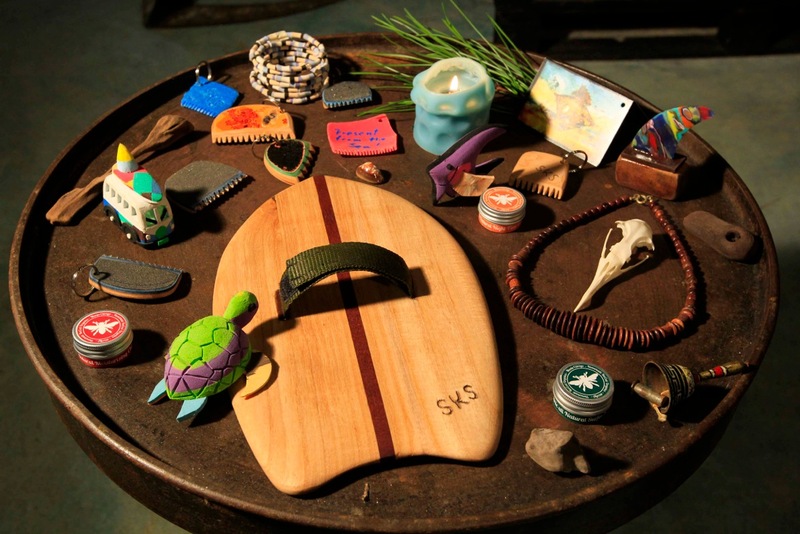 Fit for Fun about our wooden surfboard workshop …. 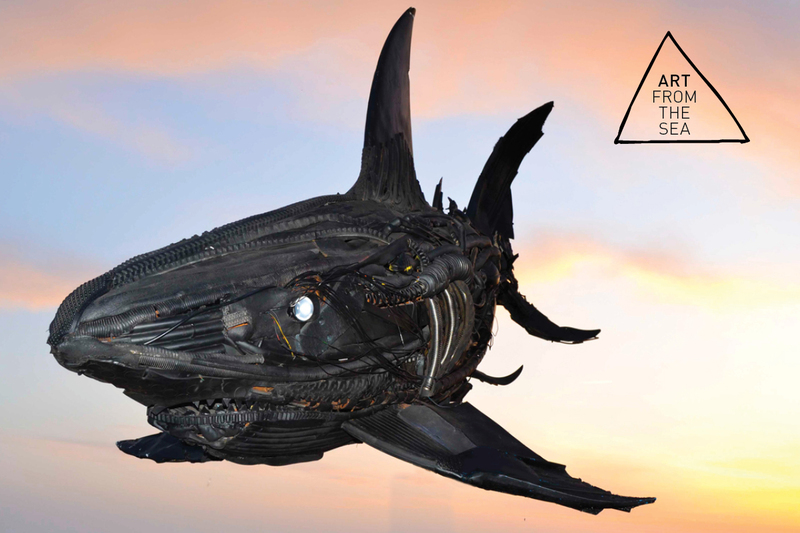 Here you can see and read what they have to say about it… (Sorry it is only in German). Enjoy the video … ! 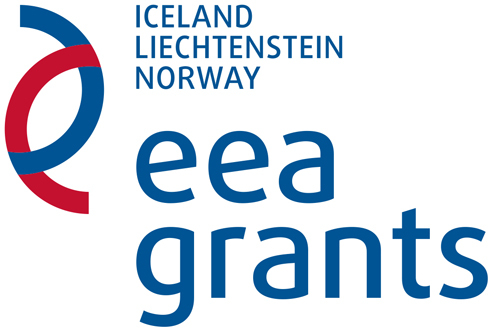 Season Opening … Gallery Easter Brunch 2015! 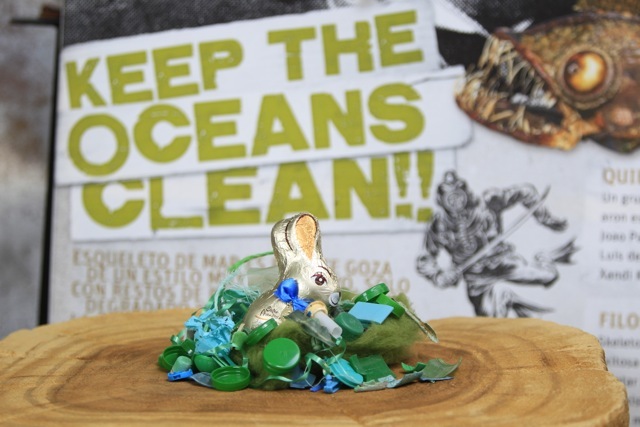 On Easter Sunday, 5th of April 2015, from 11am to 4pm at the Skeleton Sea Gallery in Santo Isidoro between Ericeira and Ribamar in Portugal. Everyone is Welcome! 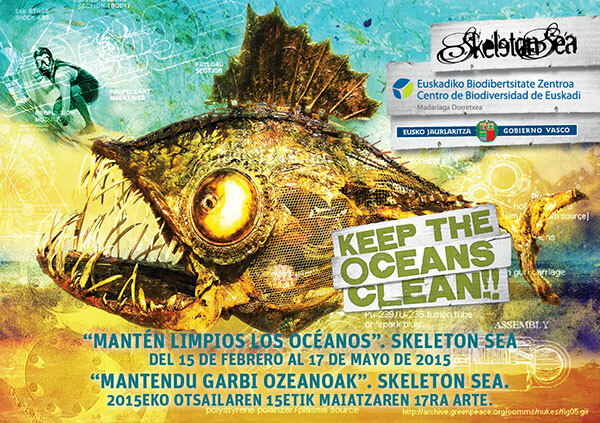 The “”Keep The Oceans Clean “Exhibition is from 15th of February to 17th of May 2015 @ Centro de Biodiversidad de Euskadi – Torre Madariaga! 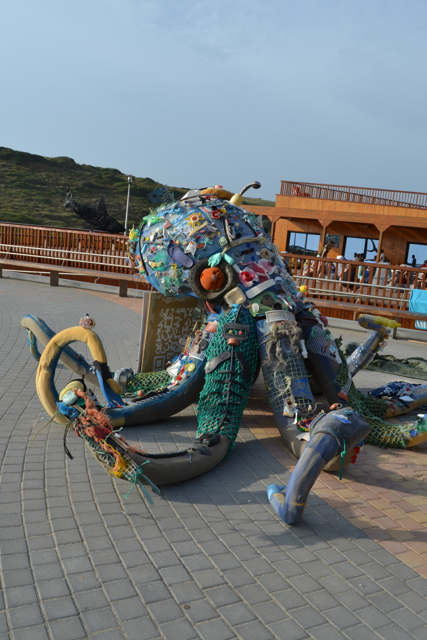 This Sunday, 21st of December 2014, from 11:00am to 6:00pm at the Skeleton Sea Gallery in Santo Isidoro between Ericeira and Ribamar in Portugal. 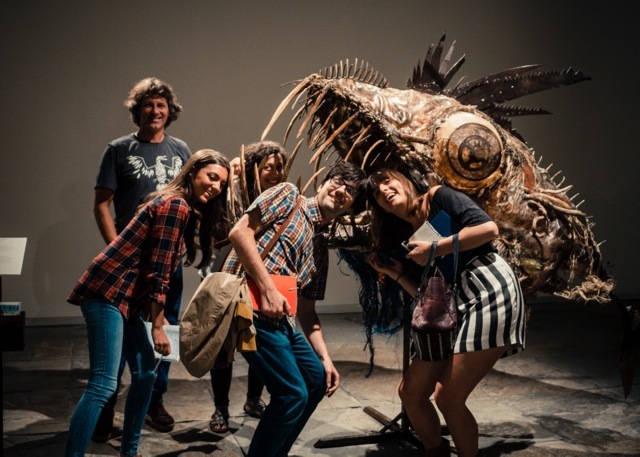 As the winter starts: We share some more images from Marea Alta Festival in September 2014 and from our exhibition in the Palexco until November 2nd, 2014. 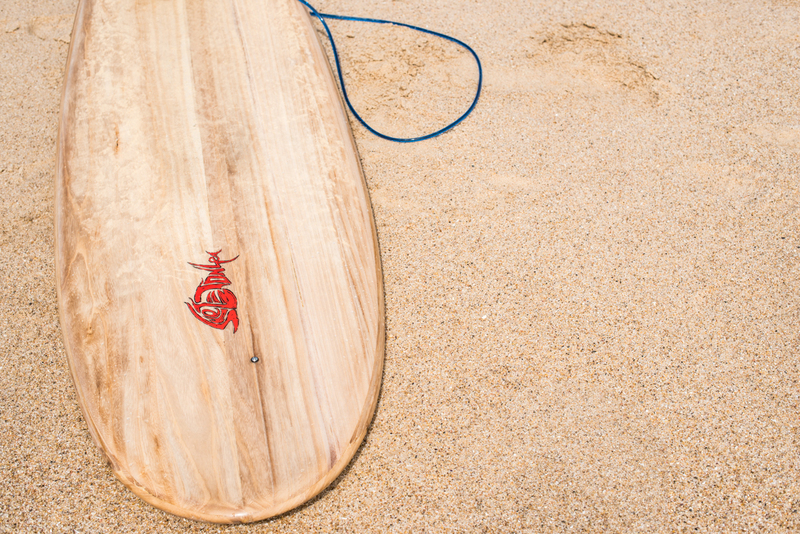 Want to build your own wooden surfboard? 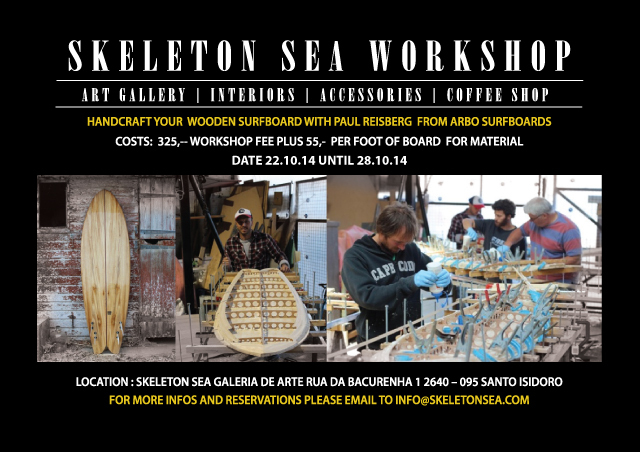 If you are interested then come and join us from the 22nd to the 28th of October 2014 @ our Skeleton Sea gallery in Santo Isidoro near Ericeira! 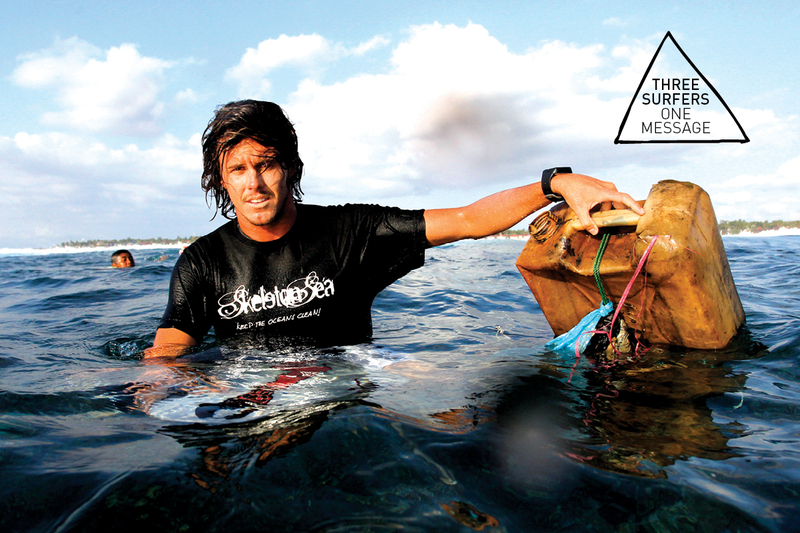 For more info send us an email: info@skeletonsea.com.